Many global, multi-office organizations spend countless resources on remote server backups only to discover that their data was never actually backed up or that it took weeks for a restore. ANDRITZ (ANDR:Vienna), a global manufacturing company who grows by acquisitions, with over 250 offices, decided that a cloud-native strategy for server backups and disaster recovery was the only solution for their disparate and dispersed environment. Brian Bagwell, IT Director of North America, ANDRITZ, has been with ANDRITZ Inc for the past 18 years holding various positions including IT Support, IT Project Manager, Business Application Manager and is currently the Director of IT – North America. Brian is also a member of several ANDRITZ Global IT Teams and is a Strategy member for the Enterprise Content Management team. Brian graduated from LaGrange College in 1991 with a degree in Computer Science and played baseball as well. Trey Brown is a Systems Administrator at ANDRITZ, where he has worked for seven years. He started in IT support and transitioned to IT coordinator, and now Systems Administrator. 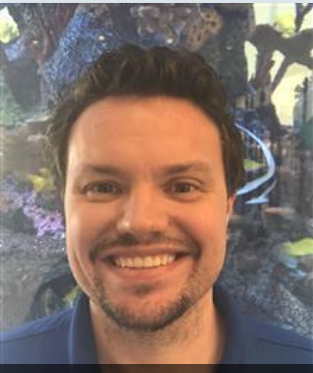 Trey is a member of the global Infrastructure team, focusing mainly on Druva Products and Azure strategies. In North America, he focuses on backup strategies, support tools\system monitoring applications, data center support, and communications. Seyi Verma is the Director of Product Marketing at Druva. He has over 16 years of experience in product management and marketing, driving initiatives around product launches and positioning for both hardware and software. At Druva, he leads product marketing for Phoenix, the company’s data protection and management solution for physical and virtual infrastructure.